Barbara, recently deserted by her husband of five years, discovers a Conquistador in her living room. Though she has had vivid fantasies about Spain, the Conquistador and his cruel and bloodthirsty approach to life were never part of them … until now. 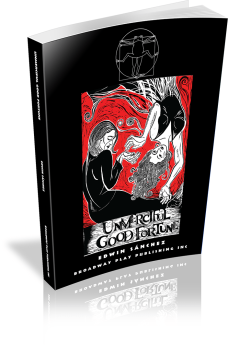 Through him and a maze of real and imaginary characters — including her best friend Diversion, a Mayan Ancient, and a very familiar guitar player — Barbara sorts through the leftovers and finds her Duende. A seriously magical comedy. 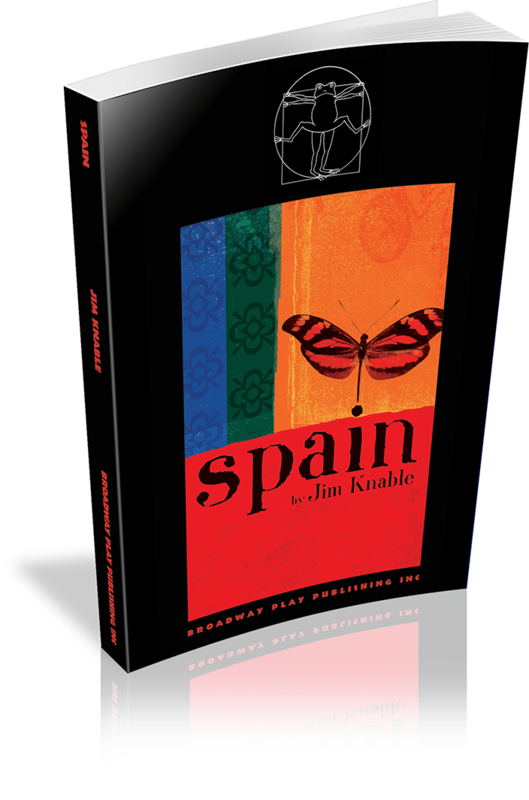 Jim Knable's play SPAIN was professionally produced at MCC Theatre (dir. Jeremy Dobrish 2007), Summer Play Festival (2006), Woolly Mammoth Theatre (2001), Actor's Express in Atlanta, New Jersey Rep, Playwrights Theatre of New Jersey, Phoenix Theatre of Indianapolis, and various other regional and university theatres. TRUE AND SOLID GROUND was produced at Soho Rep (SummerCamp 2001). 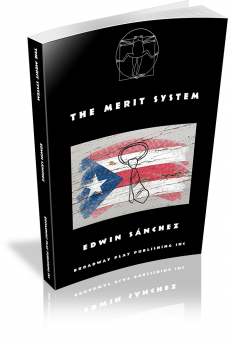 EMERSON HIGH was workshopped at NYU with Eduardo Machado (dramaturg) and produced at Half Moon Theatre 2009. GREEN MAN was selected for National New Play Network showcase 2006; workshopped at Ars Nova, Premiere Stages and The River Stage; produced at STAGEStheatre, Los Angeles, 2015. 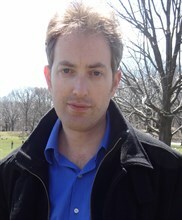 Knable was commissioned by Firefly: Theater and Film to write the Houdini-related plays PRINCE OF AIR and THE GREAT BEYOND, which have been workshopped at Geva Theatre, Walnut Street Theatre and Open Fist Theatre; PRINCE OF AIR was one of three finalists for the Terrence McNally New Play Award in 2013. He was commissioned to write four plays for young audiences by The Playwrights Project and The Hangar Theatre; commissioned to write the children’s opera THE MAGIC FISH with composer brother Sunny Knable in 2012 by Half-Moon Theatre — performances 2012-2015 there and other venues in New York and the Mondavi Center at UC Davis. Young audience play HYPER-FOCUS is published by Samuel French; THE BEST MISTAKE published by Dramatic Publishing; THE TRUTH ABOUT DINOSAURS and LOST IN WORDS published by Playscripts, Inc. SPAIN, GREEN MAN, and SALTIMBANQUES are published in an acting edition collection by Samuel French as “The Imaginary Plays by Jim Knable.” SPAIN was included in Smith and Kraus' Best New Plays 2008 Anthology. As a songwriter, Jim Knable has independently produced and released one solo album (Miles) and two albums (Golden Arrow and Redbeard) with his band The Randy Bandits (www.randybandits.com). He lives in Brooklyn with his wife and sons. 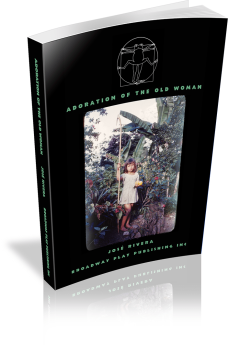 Set against the backdrop of Puerto Rico's struggle with the issue of statehood, a young woman, who speaks no Spanish, moves in with her 105-year-old great grandmother who speaks no English. Both women deal with problems of love — the younger with two new suitors and the older with the ghost of her husband's mistress. 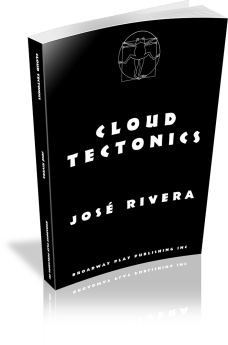 An American composer endangers himself when he includes a revolutionary’s song on his recorded collection of local music. Set in a nameless Latin American country, THIN AIR explores how an ordinary act in a nation in conflict can be tantamount to an act of war. Cuba. Two brothers, both writers, meet again after a long absence. 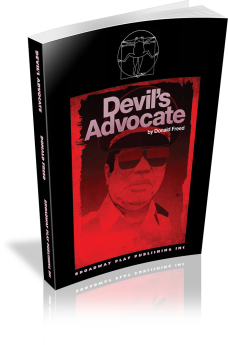 What follows is a fierce and hilarious fight to determine who has the right to tell the family’s story. In the middle of this is a mysterious sister whose needs, like the country she lives in, seem to have been neglected. 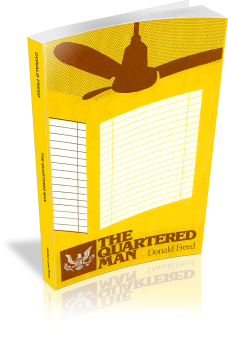 Donald Freed has established himself as one of the most prolific writers of political theater in the United States. 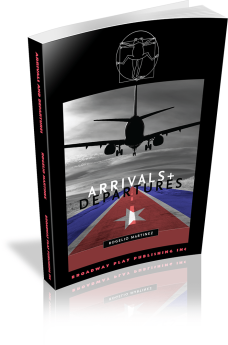 This is the story of the last day in the life of a famous spy, George C O’Connor, his madness and death in Central America. Carlotta is not afraid to search with eyes open for the first time, inspired by Saint Teresa of Avila and her publisher, Becky, a Jewish lesbian from New York. Carlotta is resolute on resolving her marital uncertainties with Andrés, a Catalan artist living in Barcelona, where the women make a stopover on their way to Avila. Carlotta is uncovering her own sense of self while further investigating the life of this impassioned revolutionary female of the sixteenth century. Santa Teresa de Avila was an empowered mystic, feminist heroine who defended divine law above man's law. During a time when the Inquisition was in its fervor, and the Saint’s spirituality could easily have been interpreted as heresy, this woman of Jewish ancestry, singlehandedly reformed a branch of the Catholic church, the Discalced Carmelite Order, to its strict original intentions of fraternity, silent prayer, and service. Teresa also founded over a dozen monasteries and wrote some of the greatest classical Spanish literature. Becky's independent spirit illuminates Carlotta's view of a persistent dysfunctional dynamic that she has been willingly exchanging with her estranged husband, Andrés. Carlotta arrives with intentions of working things out but the charming, stimulating banter and fiery provocations now dissatisfy her starving heart. The two women return from Avila with a clear allegiance of passion and understanding, but Andrés, who all along repudiated authority and moral restrictions, now proves otherwise. Unemployed mailman Humbert Lavoignet has fallen into a six-month trance. When he awakes, he announces that God has ordered him to do something wonderful, and he sets about building a tower made of junk. 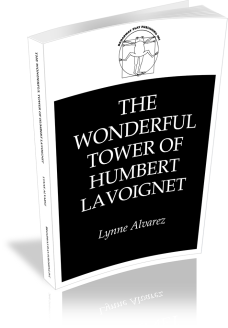 With echoes of Don Quixote, THE WONDERFUL TOWER OF HUMBERT LAVOIGNET is a play about genius, vision, and divine obsession. Ray Rivers is a young Puerto Rican man on the way up. Everything is going great for him except he doesn’t believe he deserves it. Struggling with the cost of assimilation, he walks a tightrope both at the factory, where he has been recently promoted to management, and with his fiancée. When a recently divorced Cuca joins the assembly line, with the sole purpose of making enough money to return to her beloved Puerto Rico, an unexpected friendship between Ray and Cuca develops and finally allows him to accept the part of himself that he’s long denied. During a record-breaking Los Angeles deluge, a man gives shelter to a beautiful, pregnant hitch-hiker who is searching for the father of her child. 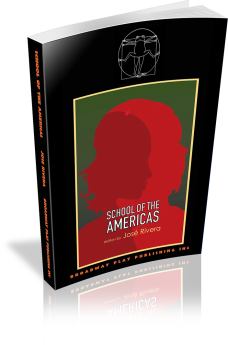 In the Bolivian jungle, Che Guevara is captured and held in a one-room schoolhouse. For two days neither the Bolivian President nor the U.S. State Department is able to decide Che’s fate. The young schoolteacher of the village insists that she be given permission to speak to the famous revolutionary. Her conversations with Che — based on historical fact — are the heart of the play.